portheplace: Singles: News-Editorial: Award-Winning Evansville Photographer: Molly Bartels specializing in editorial, wedding and art photography in Evansville, Indiana. I couldn't publish their names but I did get their story. He has Alzheimer's and is still married to a woman outside the nursing facility where he lives. He doesn't remember his wife but he does know the woman sitting next to him on the couch. She lives in the same nursing facility and also has difficulties with her memory. 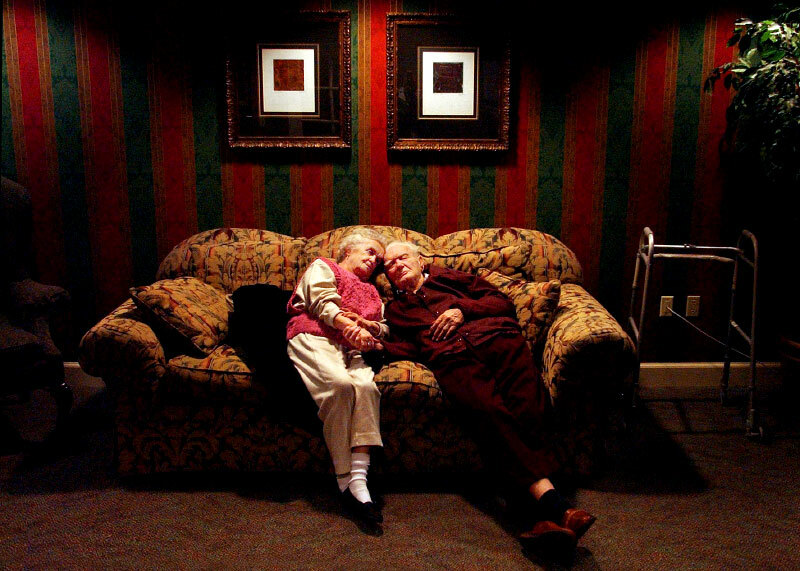 He sees her everyday and everyday they spend time together on the couch holding hands. Because he is still married, some of the other residents look down on their relationship.